If you're ever on the go and don't mind mobile gaming, take the time to download these hilarious but also fun games to take a midday break every now and then. Most of these games are pretty time consuming, however, so don't say I didn't warn you. Call of Duty fans will note the similarities and blatant differences for this game from the name along. Call of Doodie allows players to control stereotypical office place employees as they get the awkward urge to get to the bathroom. The game also adds in bonus doors that may or may not be the bathroom you desire, but no spoilers on that one. 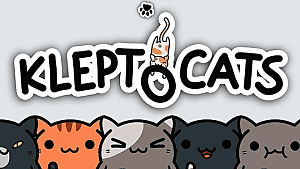 After playing this game I can attest that going to the bathroom has never given me such anxiety while I also try to explain what I'm playing on my phone (which is a bonus game really)! 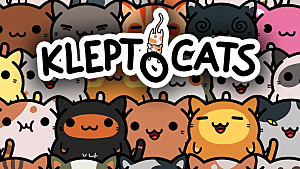 If you like cats but always felt there was an element of war and fatality missing from their daily activities, have we got the game for you. 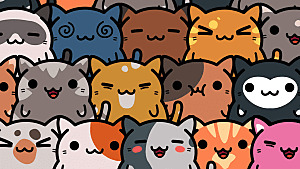 As weird as the game may seem, it's actually quite simple as you choose which cat you wish to send into battle and you even get to fire a cat cannon! 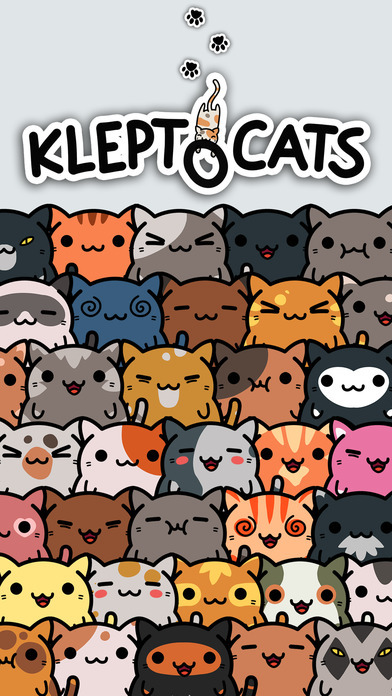 Frequent updates continue to add to the game so be sure to keep playing; can't say this is PETA approved however. If you can imagine The Sims meets actively satirizing the game format of The Sims, you've got this game. 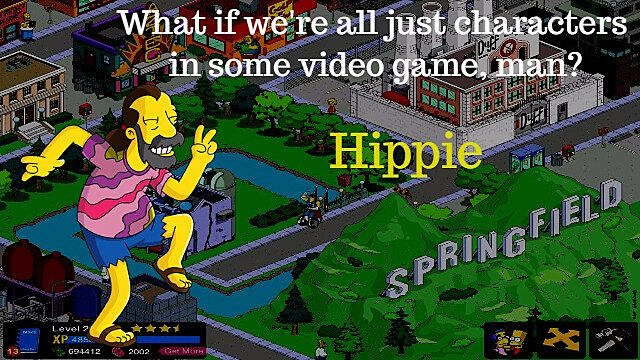 Created by the minds of The Simpsons TV show, Tapped Out comments on the absurdity of the game and even calls out EA a few times. My favorite quotes are from Homer who will regularly say things like "Work?! I thought this was a video game" and "Aw, I wish this was a shooter." Throughout the game as iconic characters and locations seen on the show are unlocked, more comedy ensues as you level up. The game, as simple as it may sound, provides near endless entertainment as you ponder simple questions with even more simple pictures provided. Hold no shame in answering this free quiz game as you click through. Just remember, however that there is no more to this game than what the title says so don't fool yourself into thinking there might be. As I played this I started to question, is there something more in this picture of a llama that might make it resemble a duck? Or perhaps I needed to think about ducks on a metaphysical level, in which there are no wrong answers, to truly get this game. Either way I will never admit how much time was spent playing this. 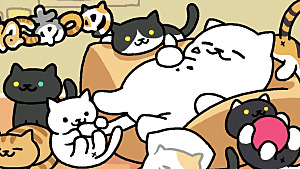 This game is both simple and rewarding, and involves mischievous cats so what's not to love? Be advised feline owners, stray away from letting your pets get any ideas from this one. 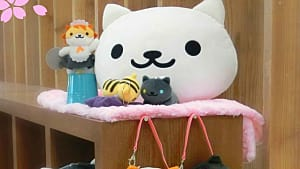 You're the owner of an apartment or home in which you go from owning items and cats. The cats don't seem to enjoy you owning the former however and take it upon themselves to mess things up. 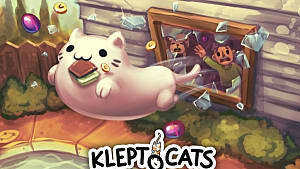 The game combines both cute and funny elements as there are plenty of cats willing to rob you blind. While fun, this game is no joke when it comes to difficulty as it can match the best of mobile games. You take the role of a mentor or parental figure who watches as your little ninja becomes a real warrior. 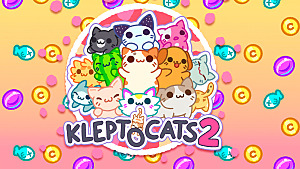 The game offers challenges that keeps you involved in a mix of the cute and the funny. 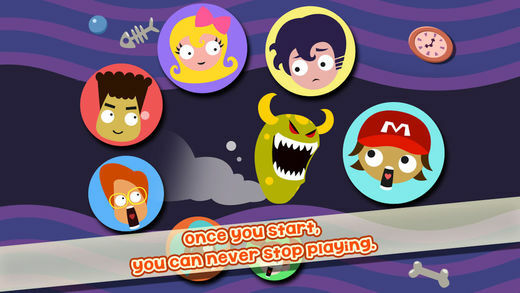 Following after the lighthearted tone but often dark implications of Dumb Ways to Die, this game takes you into a monster's perspective to scare people. Can't say if he'll ever be satisfied, but how could you when life's a scream? The game keeps you entertained by the absurdity of just trying to scare people in the most home-video type of way to just down right evil deeds. These seven games span the spectrum of satire to just plain slapstick in their comedic material as they provide something for each type of mobile gamer. What's more important than a quick laugh however is each games ability to provide varying levels of interactivity. 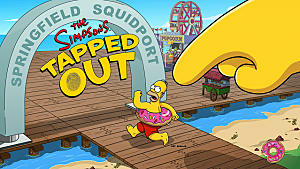 For example, The Simpsons: Tapped Out provides linear, story based, game play while Call of Doodie can be opened quickly and played with no long term effects. Granted playing that last game could have long term effects on your office to bathroom use ratio that we don't have the analytics on yet. Are there any games we missed? Let us know in the comments below! 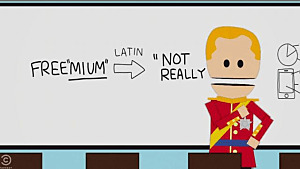 South Park Kicks F2P in Da Nuts!